Capturing and Refactoring Data Movement in Computational Kernels for Physics Simulation on Many-core Systems – ParaTools, Inc. 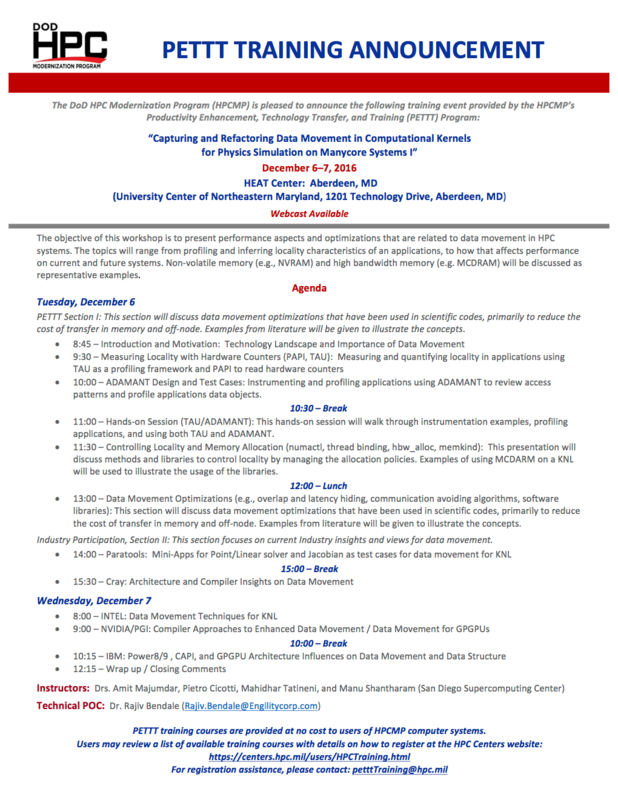 The objective of this workshop is to present performance aspects and optimizations that are related to data movement in HPC systems. The topics will range from profiling and inferring locality characteristics of an applications, to how that affects performance on current and future systems. Non-volatile memory (e.g., NVRAM) and high bandwidth memory (e.g. MCDRAM) will be discussed as representative examples.